Photo: ProRail / Stefan Verkerk. 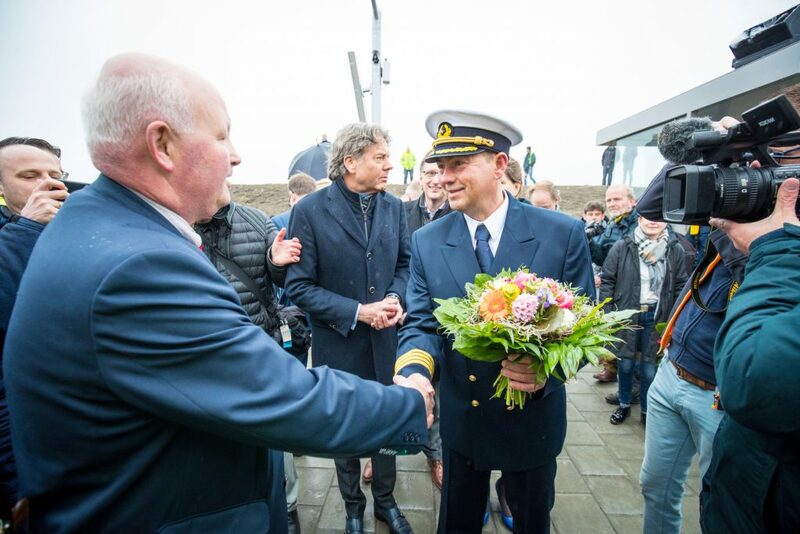 ProRail has officially opened the Netherlands’ most northerly stretch of railway between Roodeschool and Eemshaven. It is the first addition to the Dutch railway network since the Hanze line opened in 2012. ProRail said the line was unique, as part of it runs over the dike on an embankment to the harbour, allowing passengers to travel by train to Eemshaven and catch a boat to the German island of Borkum. The line was constructed by first building a road over the dike and laying the railway on top. ProRail said it is the first time this kind of railway construction has been attempted in the Netherlands. The new 7 km railway includes 3 km of new line. The rest of the route had been an existing freight line which has been upgraded for passenger service. ProRail and VolkerRail began construction of the new line in spring 2017. 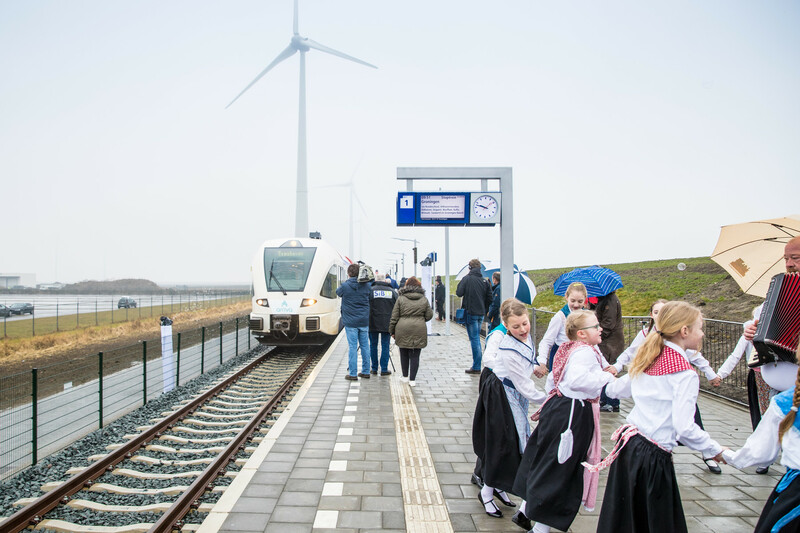 The two new stations at Roodeschool and Eemshaven have been built by Knipscheer Rail-Infra.